But as interesting as all this was, I learned about it from a bunch of different books and primary sources. I had no idea that there was one book out there that brought all of this info together in one place so you could see how all these truths are intertwined and how they work together to influence our health, both individually and the collective health of a nation. 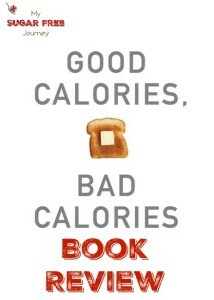 That book is Good Calories, Bad Calories by Gary Taubes. This book goes in to incredible detail, citing scientific study after study to make the case he is trying to build, namely that all our ideas about what a healthy diet is are just wrong and demonstrably so. Taubes was kind enough to include the 10 main ideas he wants to make clear in his book so I’ve included them below in bold with my commentary afterwards. 1 . Dietary fat, whether saturated or not, is not a cause of obesity, heart disease, or any other chronic disease of civilization. The story of fat is really the story of one man with an over-sized personality named Ansel Keys who did a huge study on heart disease and, when the findings of his study didn’t line up with his preconceived notion of what caused heart attacks, cooked the results and fooled a nation into believing there was a link between fat and heart disease. Taubes reveals the flaws in his data and how decades of research since then has revealed no link between dietary fat and heart disease. 2. The problem is the carbohydrates in the diet, their effect on insulin secretion, and thus the hormonal regulation of homeostasis-the entire harmonic ensemble of the human body. The more easily digestible and refined the carbohydrates, the greater the effect on our health, weight, and well-being. Simple carbs like grains, sugars and potatoes cause a blood sugar spike when we eat them, which causes an insulin spike. Insulin is our body’s signal to store fat so if your insulin level is high, you will gain fat on your body and be unable to lose. If you are eating the Standard American Diet with lots of supposedly healthy “whole grains”, healthy baked potatoes, and low fat foods that add sugar in the place of the fat, you insulin is perpetually elevated, which means you are always getting fatter. 3. Sugars-sucrose and high-fructose corn syrup specifically-are particularly harmful, probably because the combination of fructose and glucose simultaneously elevates insulin levels while overloading the liver with carbohydrates. Back in our developmental past, there was never a reason for our bodies to deal with fructose. It was only easy to come by for the few months a year that fruit trees were ripe and ready to be harvested (or when the bees made honey) so our livers could just convert it to fat and store it for the coming winter. Well now fructose is available year-round and our livers are just constantly converting it to fat and packing it away. Combine that with the insulin response to the glucose half of sucrose discussed above and you have a double-whammy of fat producing agents every time you eat sugar. The links between sugar and these other diseases are damning. I could spend blog post after blog post detailing how we are finding that sugar has its sweet little fingers in almost every major disease we are fighting as a country today. And who knows, I might just do it because this is info every one needs to hear. You can read the book for the details but the short story is this: Want to cancer-proof your body? Stop eating sugar immediately. This was one of those revelations that almost had me in tears when I read it. You see someone who is 400 lbs like I was and you automatically assume they are a fat, lazy slob. I had a home repair business that kept me active, I was a volunteer youth pastor for about 20 years that kept me active and I had 4 kids that kept me active, and yet I was constantly getting bigger. Fat is not the result of sloth or gluttony but the natural result of our body’s reaction to high blood sugar caused by eating carbs. We are not simple machines where if you put x amount of calories in, you will get x amount of calories out in work or store it as fat. Have you ever thought that to lose weight, you just need to eat less and exercise more? It doesn’t work like that. If you use more calories than you take in, you get hungry and you eat. You might be able to use will-power to fight that urge for a while but eventually, you will give in and gain all that lost weight back. This is what causes yo-yo dieting. You need to change what you eat, not how much you eat. 7. Fattening and obesity are caused by an imbalance-a disequilibrium-in the hormonal regulation of adipose tissue and fat metabolism. Fat synthesis and storage exceed the mobilization of fat from the adipose tissue and its subsequent oxidation. We become leaner when the hormonal regulation of the fat tissue reverses this balance. In short, fat accumulation is a hormonal issue, not a calorie issue. If you want to lose weight, you need to concentrate on fixing your hormones, namely avoiding eating anything that will cause a strong insulin response. 8. Insulin is the primary regulator of fat storage. When insulin levels are elevated-either chronically or after a meal-we accumulate fat in our fat tissue. When insulin levels fall, we release fat from our fat tissue and use it for fuel. I think I’ve covered this. Want to lose weight and get healthier? Blunt your insulin response to the foods you eat. Again, I’ve covered this. Eat less simple carbs. No sugar, no grains, no potatoes. This is something else I’m probably going to write more on in a future blog post. Eating carbs is not only bad for you because it causes an insulin response, but then it turns around and makes you hungrier so you eat more and lazier so you move less. It’s a terrible cycle that is tough to get out of once you are in it. Your only hope is to cut those carbs out of your life. Eating a diet of primarily fats and protein will not only help you lose weight but give you more energy so you actually want to exercise. I ride my bike 5 miles every day now and I remember a time that there is no way I would have had the energy to do that but now I get antsy when I just think about not doing it. I have energy to burn. 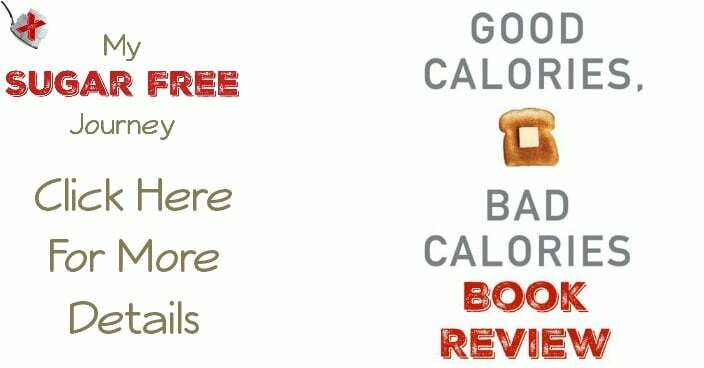 These are the main points in Good Calories, Bad Calories but reading the book for yourself will educate you on not just the big ideas, but all the science behind each of these assertions. There is just so much information in this book, I don’t feel like I got everything there was to get and anticipate re-reading this book in a few months. Taubes also wrote another book called Why We Get Fat and What to Do About It that supposedly covers a lot of the same ground but in an easier to read and understand format. I’ve got it downloaded on my tablet and as soon as I finish the book I’m reading now, I’m going to tackle that one. What did you think? Let me know in the comments, I love to hear from you and be sure to subscribe to my daily email to never miss a post. Thanks! PREVIOUS POST Previous post: How to Break Your Sugar Habit – Step 3: Throw Out the Sugar! NEXT POST Next post: Low Carb Chicken Fried Steak Recipe!